Bonnie Rose Weaver is a clinical herbalist, medicinal landscaper, and lifelong San Franciscan. She became aware of the healing ability of plants while living under the canopy of the forests in the Pacific Northwest. Her passion for plant cultivation and working close to the earth was later ignited by her work at San Francisco’s Little City Gardens. 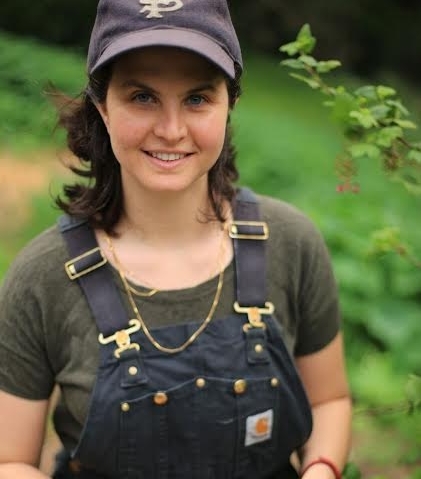 In 2013, she founded 1849 Medicine Garden, an urban herbal project where she cultivated and grew medicine until the fall of 2015. She has studied the use and cultivation of medicinal plants at Herb Pharm, The Chinese Medicinal Herb Farm, The Blue Otter School of Herbal Medicine, and The San Francisco Public Libraries. In 2016, Weaver self-published the book Deeply Rooted: Medicinal Plant Cultivation in Techtropolis, about the work of urban medicine farming. She is an artist of watercolor and clay.